Gao's Royal Musical Collection, Inc.
Yuan Gao began studying the clarinet at the age of 13 at the Central University of Nationalities, College of Music in Beijing, China. Barely three years later, he won the First Prize of the National Clarinet Competition. The following year, he also won the top prize at Jeunesses Musicales International Music Competition in Romania. His prize winning performance was broadcast by CCTV (China Central Television) throughout China, and the government honored him by including his name on the national list of prominent Chinese musicians. Mr. Gao subsequently studied the clarinet in Vienna, Belgium, Paris and Boston with Peter Schmidl, Eddy Vanoosthuyse, Michel Lethiec, and Jonathan Cohler respectively. In 2006, Gao�s Trio Diamante won First Prize at the International Chamber Music Ensemble Competition, and they subsequently performed at Carnegie's Weill Recital Hall. In 2007, Mr. Gao garnered the prestigious Harold Wright Clarinet Merit Award sponsored by the Boston Woodwind Society. Mr. Gao has given recitals and conducted master classes in the United States, China, Japan, Brazil, and many international clarinet festivals. 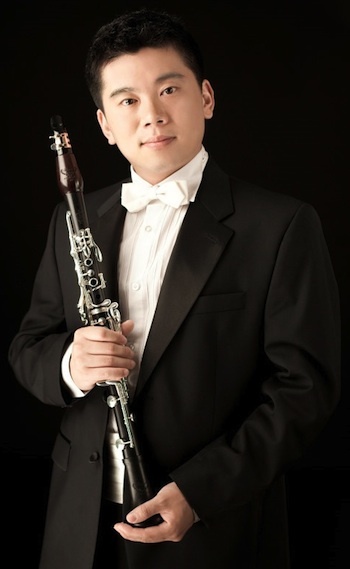 Mr. Gao represents Rossi Clarinet in China and is the founder and President of Gao�s Royal Musical Collection, Inc. which designs, manufactures and sells clarinets, barrels, bells, mouthpieces, and ligatures worldwide.